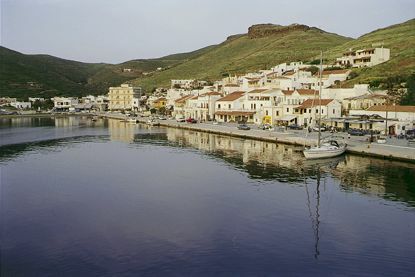 Building within city limits in Kea (Tzia) is minimal and falls within the same laws as the rest of urban areas of Greece. The largest interest is in our island is building in rural areas. The general rule for building outside urban areas requires a minimum land area of 4,000 sqm where the maximum of 200 sqm can be built on the ground level with the same area underground, as basement - storage areas. The maximum 200 sqm can be in one or more buildings. Tzia has today 39 Legislated Zones of Archaeological Interest in which the Building Code varies by zone. In the A Zones of Archaeological Interest all construction is forbidden. In the B, B1, and B2 Zones of Archaeological Interest what basically changes the maximum allowed sqm that can be built, under the general rural building laws. There are two B Zones of Archaeological Interest where a minimum land area of 8,000 sqm is required and the maximum of 100 sqm stone structure can be built. In all other B, B1, and B2 Zones of Archaeological Interest the required minimum land area of 4,000 sqm applies but the maximum that can be built in one or more buildings, on the ground level with the same area underground, varies to 100, 120, 130, 150, or 175 sqm.